The district has adopted a powerful and bold suggested policy to combat childhood obesity. We strongly believe that the link between physical, emotional and social health influences and affects all academic learning. Thus, we have implemented a variety of programs and opportunities to instill the importance of regular exercise, conscience eating of fresh fruits and vegetables and educational- sound programs to address mental health issues. We must work jointly and in partnership to teach our students early in life that the choices they make will affect the quality of their future experiences. To learn more about the District's Wellness Policy, please see the PDF documents in the side bar. Again, this is a program that is Parent- driven and started in 2010. Girls on the Run is a national organization that supports young girls in forming positive body images, and teaches ways to support them as they approach young adolescence. This usually begins in the early part of each February and culminates in a local running event in May. This is a fee-based after-school program and space is limited. The nationally recognized fit for learning program was launched by the Santa Clara County Office of Education in 2005 in response to increasing rates of childhood obesity. Designed in alignment with the California Content Standards, the program also helps schools adhere to and support the guidelines set forth in their district's own. Monthly theme calendars promote activities and and healthy eating around a theme. See the PDF documents in the side bar for more information and healthy tips. Mileage Club is an optional lunchtime program, aimed at promoting physical fitness. Open to all students in grades 1-5, the program operates with dozens of parent volunteers to keep track of the laps students walk. Students have the opportunity to run, jog, walk and earn small token and rewards as they complete laps. The program communicates the importance of exercise and how having a healthy body impacts physical, mental and emotional health and ultimately overall academic and life success. . Last year, we implemented the "Golden Shoe Award" which is awarded to an upper and lower grade classroom with the most laps/miles walked for the year. Classroom winners have the honor of displaying the Golden Shoe in their classroom. 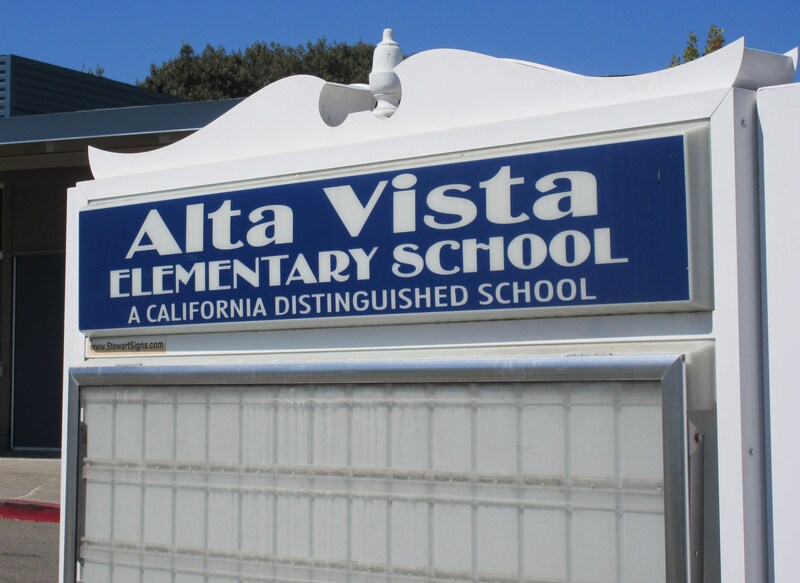 Annually, Alta Vista School participates in the “Walk to School Week,” which encouraged students and families to walk to school instead of driving. Walk to School Week takes place around the world annually during the first week in October. It’s an international week that raises awareness about the positive ways walking to school helps children and communities. An energizing event and reminder to parents and children alike of the simple joy of walking and biking to school. It also serves as an opportunity to focus on the importance of physical activity, safety, air quality and a more walkable community. Watch for details in September about this event - join the fun and avoid the traffic congestion...Walk or Bike to School!